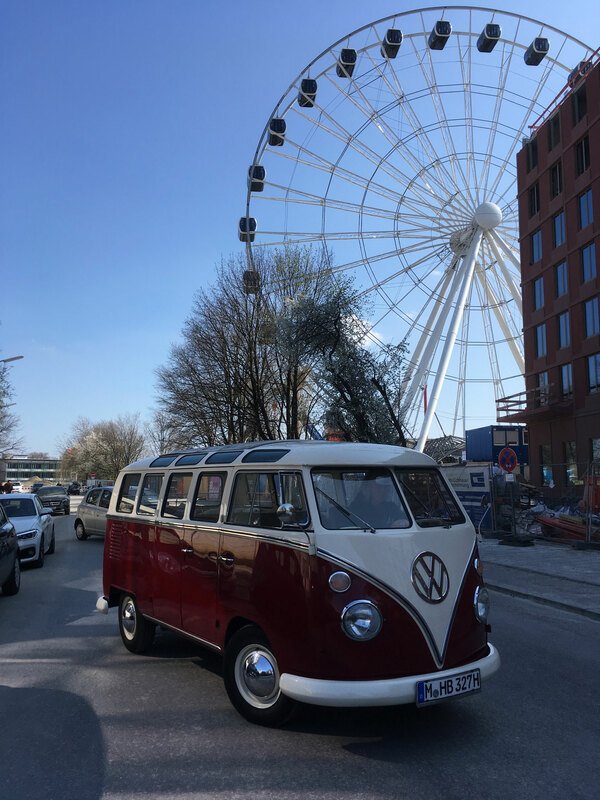 Special - München im VW-Bus T1 Samba "Bulli"
Our classic VW-Bus T1 Samba ("Bulli") gets you to the biggest mobile Ferris Wheel in the world. Through our cooperation with hi-Sky you will take the Fast Lane and enter a gondola at an unbeatable price. 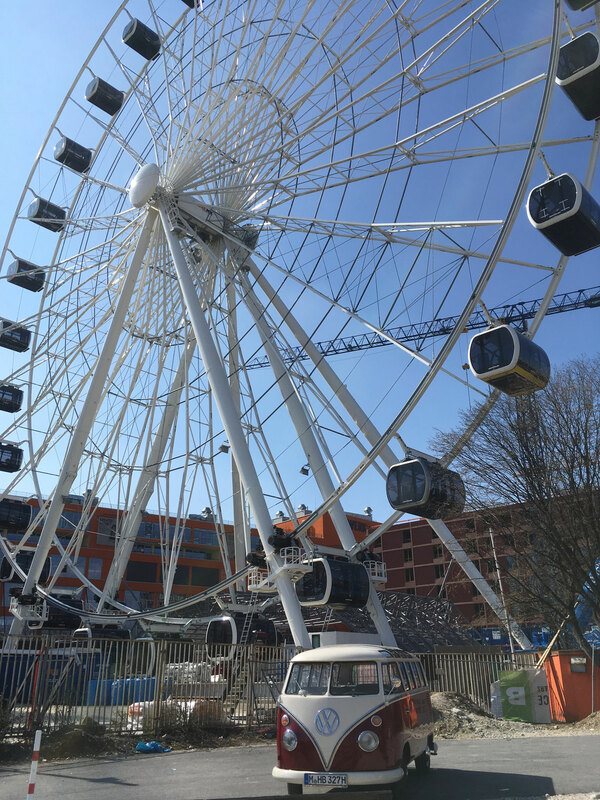 You will have a unique view over our beautiful city. 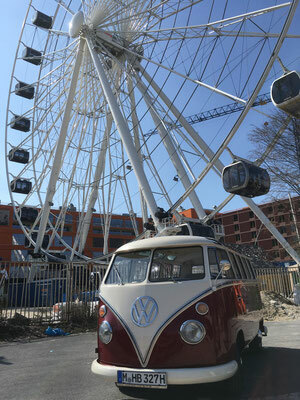 Bulli and Ferris Wheel is only bookable directly through us.